It's amazing how everyday life can be inspiring if only we open our eyes. 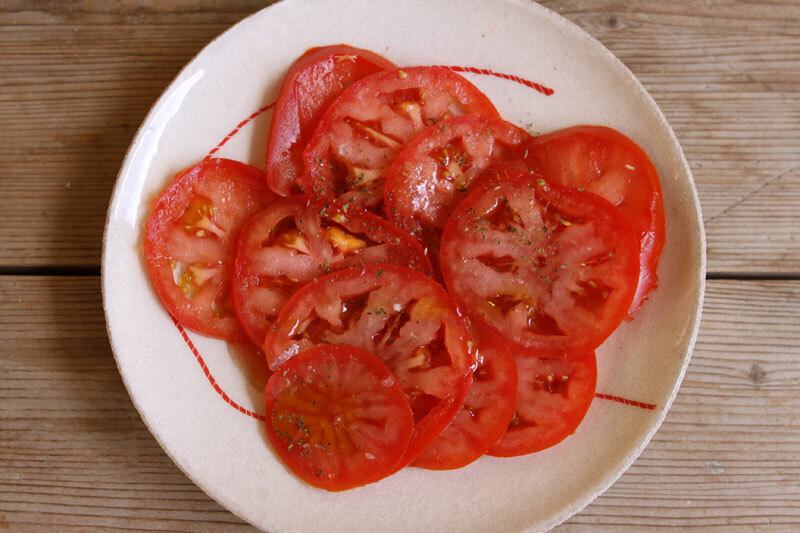 Coming back from the market with some plum tomatoes in my basket, I found attractive the combo red and beige. And I instantaneously built a project of a quilt with red fabric mixed with all the hues of beige, going from off-white to dark brown. 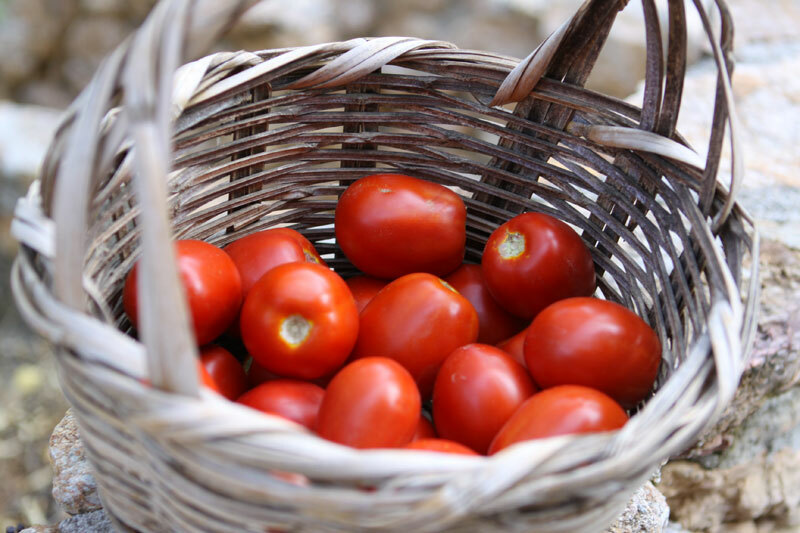 However, the purpose was not to quilt, but to prepare a tomato paste! But look how beautiful is the contrast between the red of the tomato jars and the dark brown of my old rusted saucepans! I wash the tomatoes and leave them for 3mn covered with boiling water. I peel them, cut them in four and put them in a high saucepan with salt, a little sugar and a little olive oil. I let them boil without lid for about 1/2 hour, until the juice evaporated. 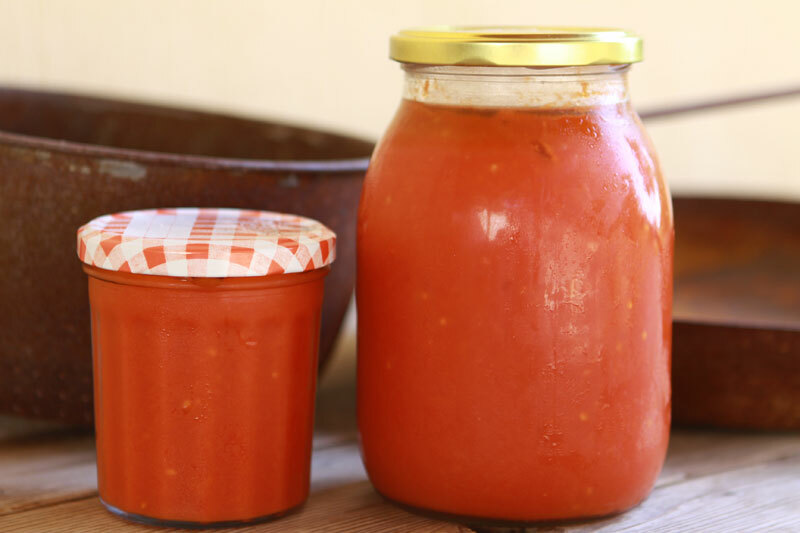 I mix and pour the sauce in glass jars, adding a little olive oil just to cover the sauce. 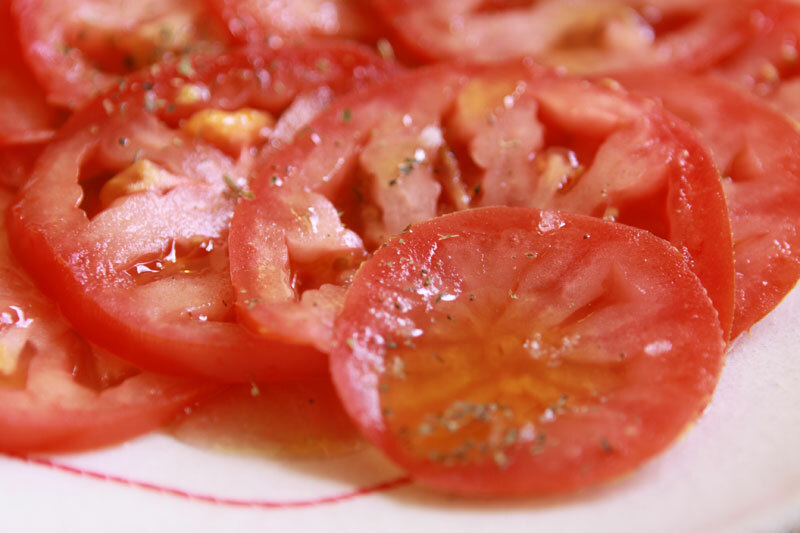 cut in slices with olive oil, coarse salt and oregano. Oh! I forgot : wonderful with a slice of grilled bread rubbed with a little garlic! Enjoy your lunch... and your stitches! Thanks for sharing those wonderful photos! That Red/White quilt is soooo beautiful. I love It!!! I must say the red and white quilts have a special place in my heart. I have bolt of red waiting to be turned into a quilt. Having such a hard time deciding which block to use, there are so many great ones. I can tomatoes every summer. Even my husband commented what a wonderful deep red the jars were, and so yummy too! 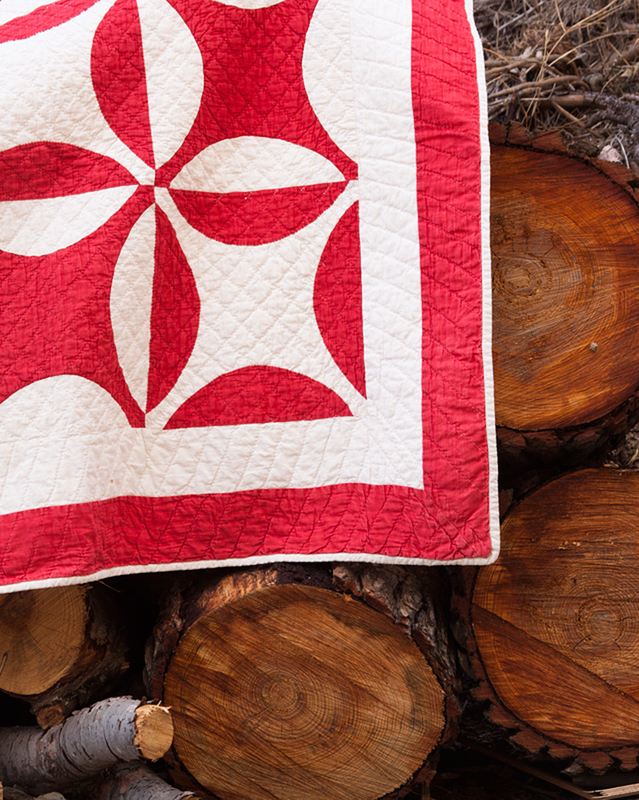 A beautiful red and white quilt! Your tomatoes look delicious!! As. Always, your photography is a treat for the eyes Christine! Red and cream is a favorite color combination for me, so I love your antique quilt! 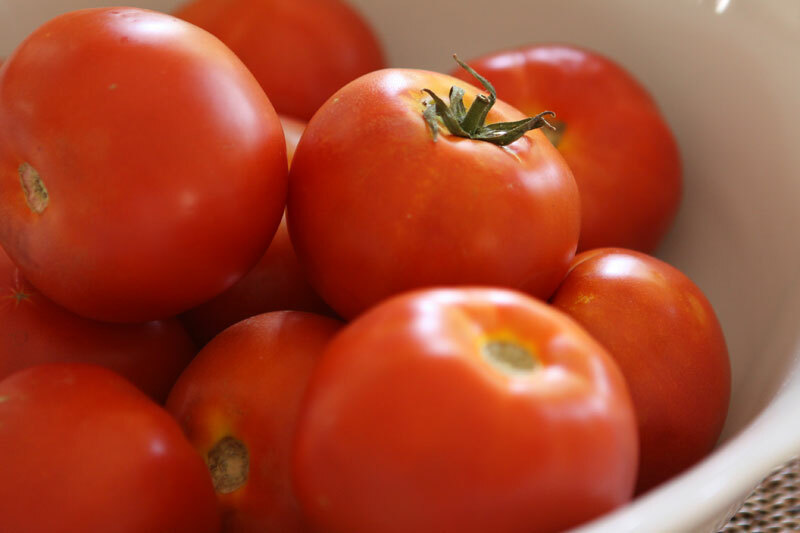 It is hard to get such wonderful tomatoes over here, unless you grow them yourself, and then it is very much hit and miss business! What a beautiful quilt. Just made with two simple colors. Very nice!